BOB BURG is a highly sought-after conference speaker who teaches the principles at the core of The Go-Giver to audiences worldwide. A former top sales professional, he is also the author of Endless Referrals and Adversaries into Allies. He was named by the Amer­ican Management Association as one of the Top 30 Most Influential Thought Leaders in Business for 2014. JOHN DAVID MANN is an entrepreneur and award-winning coauthor whose titles include the New York Times bestsellers Flash Foresight and The Red Circle and the national bestsellers Among Heroes and The Slight Edge. 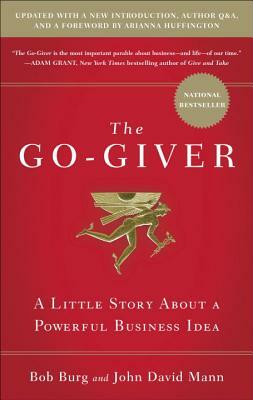 His Take the Lead (with Betsy Myers) was named by Tom Peters and the Washington Post as Best Leadership Book of 2011.